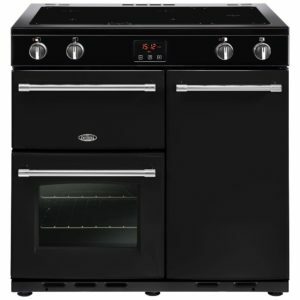 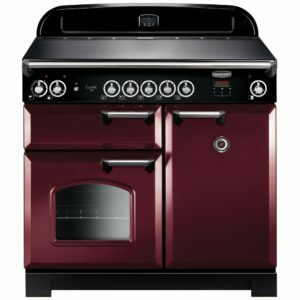 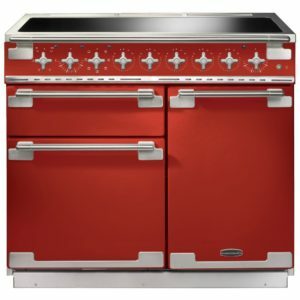 This sublime 110cm range cooker from Britannia showcases the brilliant style that we expect from them, along with the range of features to make cooking less of a chore. 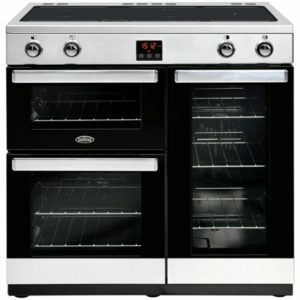 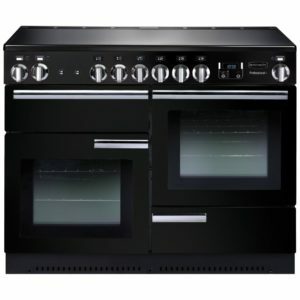 The black finish is the perfect complement to the Delphi XG’s sleek style, perfect for a modern kitchen, and it is packed with features, like the multifunction ovens, with the main oven providing 9 options and the secondary oven a helpful 4. 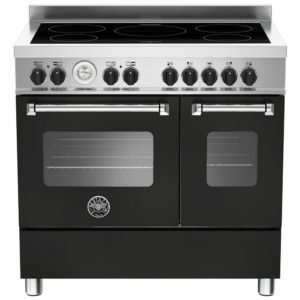 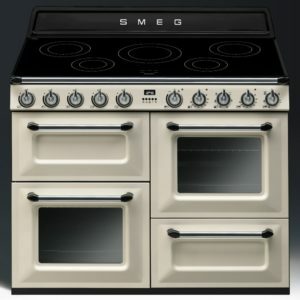 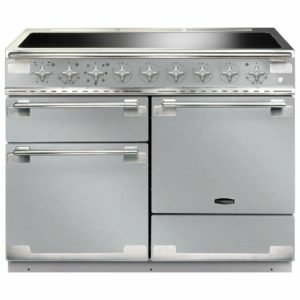 Perfect for when you need to cook several items at a time, or need a specialised function like pizza or rotisserie. 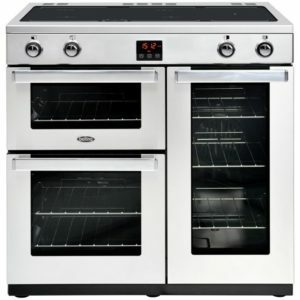 There’s even a Quick Start function, so you can quickly warm up the main oven while keeping a great, even heat flow. 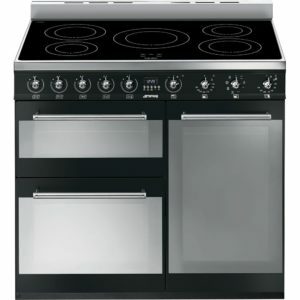 Topped with a five zone induction hob, there’s space for large pans and griddles, and thanks to pan detection heat is only transferred to the pan base, making boiling, simmering or frying quicker and more efficient. 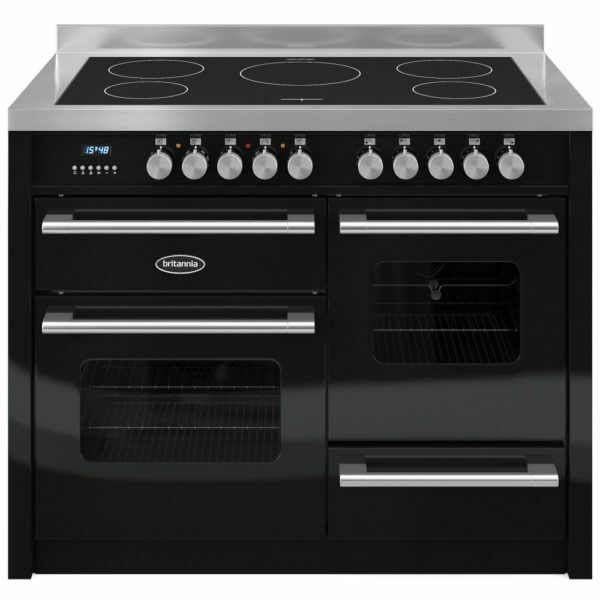 There’s still plenty of fine control so you can even gently melt chocolate, and all with the added bonus of an easy clean surface!